Permanent installation on the grounds of the Salt Company (PTY) Ltd, Atlantic Coast, Namib Desert. 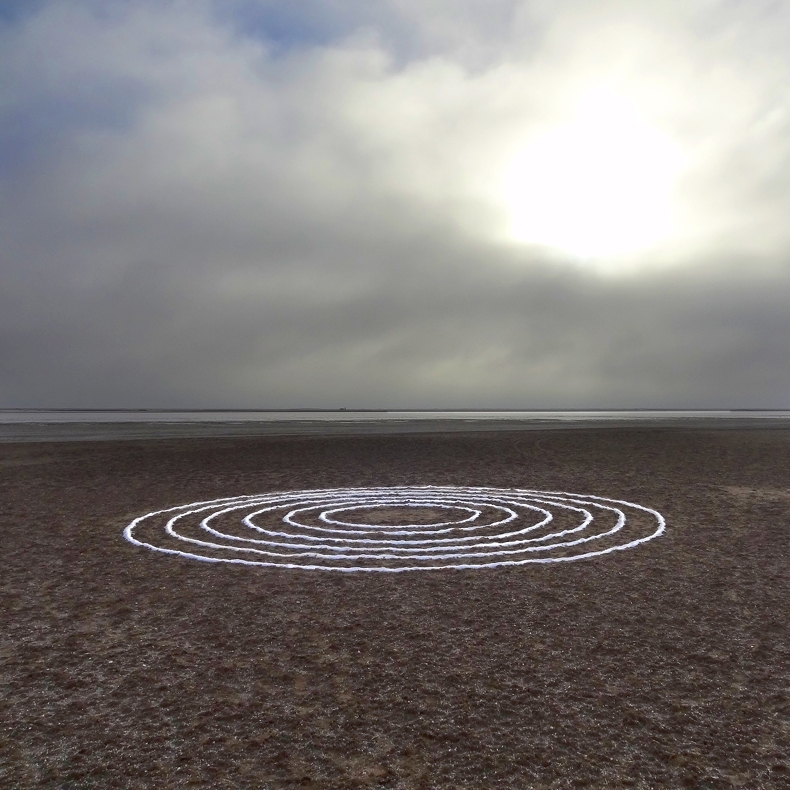 Circles are ancient symbols for protection and harmony, while salt is also attributed with protective, conserving and cleansing power and a symbol of hospitality. Six concentric circles show the expanding ripple-effect of activated energy. The Namibian coast and national parks (and the tourism it attracts) are threatened by plans of marine phosphate mining, increased uranium mining activities and the proposed development of a huge industrial park. The work acts as symbolic protection and restoring the natural harmony.